One of the biggest changes in the publishing marketplace in recent years has been the evolution of the electronic book, or ebook. Whilst traditional printed books continue to be popular, ebooks have provided new options for both writers and readers. The low production cost of the ebook has initiated a boom in self-publishing and the development of small publishing houses, many of which cater to special interest groups. Short turnaround times have enabled ebooks to be far more topical than their print counterparts. And pulp fiction has flourished as it did on the invention of the paperback. Despite all this, the electronic book marketplace can still be a treacherous one for a writer to enter. There are a lot of companies out there which will try to make money off you without you getting a penny yourself, sometimes even charging you for the privilege of considering your work. If you find a good publisher, or if you decide to self-publish, you'll still have to invest a lot of your time in promoting your book. How can you tell whether or not it will be worth your while? What are ebook readers looking for, and how can you tell if your book has potential? When it comes to ebooks, non-fiction outsells fiction by a long way. One of the reasons for this is that ebooks have a big advantage over print ones in terms of their ability to be up to date. If you're about to go on holiday and you're looking for a guidebook, you'll want the most up to date one you can find. If you want a tax guide to help you with your accounts, you'll be looking for something which deals with tax regulations exactly as they are now. Print books take longer to produce, so they can't compete in this area. Increasingly, the public is turning to ebooks for information of this sort. 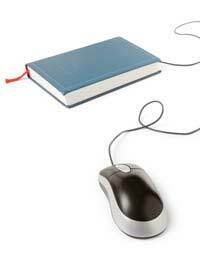 Perhaps the most successful kind of ebook is the how-to guide. There is a continual demand from publishers for good writers to produce books like these. To do so, however, you'll need to have practical knowledge as well as writing skill. How-to ebooks cover everything from how to fix a car to how to patch up a messy relationship. People buy them in electronic format because they tend to need them quickly and ebooks are simply easier to locate and buy than print books. However, some types of how-to ebooks are more frequently produced than others. To be successful, it's best to pick a subject which people will often find useful but which relatively few people know how to do. This can be a good way to utilise knowledge from your previous occupation in boosting your writing career. Another area in which ebooks have an advantage is discretion. Often people want to learn about particular subjects but don't feel comfortable being seen buying books on them, or being seen reading about them by family members. For instance, a person recently diagnosed with a serious illness might want to read about it privately before discussing the matter with their family. Ebooks dealing with topics like this can be very successful, especially if they offer a personal angle which the reader can relate to. Would you like to settle down on the couch after a long hard day and curl up with an electronic book? Perhaps you would, but most people, in this situation, still prefer print. There are two principal groups of people who don't - those people whom marketers refer to as 'early adopters', and those who can't get the kind of fiction they want anywhere else. Early adopters are an interesting group. They are people who are intrigued by new things and will start buying them long before other people do. The good news about them is that they tend to read a lot more, per capita, than the general population. Often their fiction tastes reflect their other interests. They buy a lot of science fiction and a lot of experimental fiction. They tend to be more interested in genre fiction than in more established literary works. Because they read so much, light reading is often important to them, so entertaining, story-driven books tend to do better than slower-paced, more thoughtful ones. The other big group of fiction ebook readers are looking for books about obscure subjects which they happen to have a special interest in. Books like this may not sell thousands of copies but they can win you loyal readers who will promote you in their own communities and will always come back for more.